The CAIT demanded the central government bring in a bill in Parliament to protect Delhi trade and traders from the sealing drive, being carried out by BJP-led MCD. The Confederation of All India Traders (CAIT) on Saturday slammed the MCD Monitoring Committee over the sealing drive, saying it was behaving like a "dictator" and announced a 48-hour 'Delhi Trade Bandh' on February 2-3. The CAIT also demanded the central government bring in a bill in Parliament to protect Delhi trade and traders from the sealing drive, being carried out by BJP-led MCD. "The bandh has been called by the CAIT. The traders have demanded the Union government bring a bill in the current session of Parliament to protect Delhi trade and traders from the onslaught of sealing," the traders' body said in a statement. "On February 2-3, traders will take out a protest march and will hold 'dharna' in their respective markets. Prior to this, the traders will 'gherao' Delhi MPs and MLAs and will submit their memorandum," it said. The statement said that a memoranda would also be given to prominent leaders of all political parties. Praveen Khandelwal, Secretary General, CAIT said the shutdown decision was taken at a meeting of Delhi traders held at the Constitution Club in the national capital, which was attended by leaders of about 500 trade associations of the city. "The CAIT alleged that the Monitoring Committee (of the MCD) is behaving like a super administrative authority, least bothered about legality of any premises and more interested in sealing business establishments. Such an attitude of the Committee is not less than a dictator," informed Khandelwal. 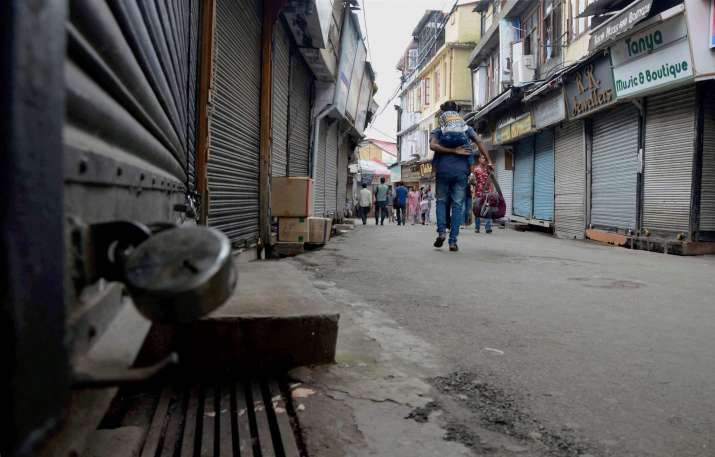 The traders' body has sought intervention from the central government in the matter of sealing of business establishments in the national capital. "This is a very sorry state of affairs and time has come for the central government to intervene in such affairs now. The CAIT delegation will meet the Home Minister, Minister of Urban Development and Lieutenant Governor of Delhi in this regard besides taking the agitation further," the CAIT said. On Tuesday, more than seven lakh traders across Delhi observed a shutdown to protest the sealing drive in the city and demanded the government should bring out an amnesty ordinance to protect traders. The sealing drive, according to the traders' body, was in violation of statutory provisions of the Delhi Municipal Corporation Act.